Known publicly as “CoinX,” the leaker didn’t offer any other details, such as features or narrower launch windows. He did refer to the 10.2-inch model as the “iPad 7” however, and said the 10.5-inch model isn’t a Pro. 2018 iPad Pros come in 11- and 12.9-inch sizes. CoinX’s record includes predicting that one of the 2018 iPad Pros would be 5.9 millimeters thick, and most notably exposing the names of the iPhone XS, XS Max, and XR. Casting doubt on the latest rumor is that based on Apple’s history, it’s unlikely Apple would launch two iPads in such similar dimensions. Apple is rumored to be replacing its 9.7-inch “budget” iPad with a 10.2-inch model, yet it already has a 10.5-inch option in the form of 2017’s iPad Pro, still on sale. 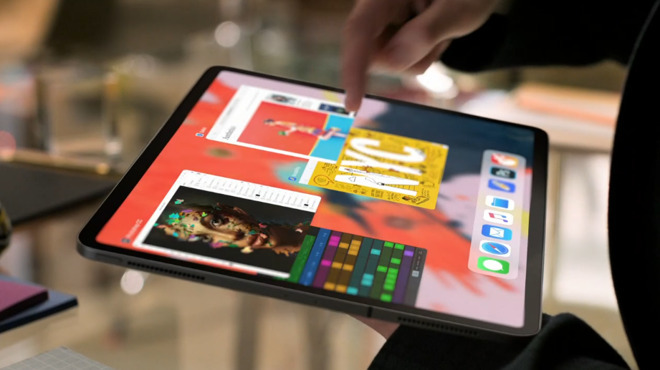 Conceivably Apple could position an updated 10.5-inch model in the mid-range, with superior performance to the “budget” line but without some Pro perks.